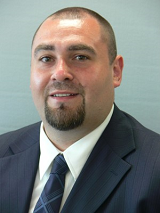 Michael is entering his 5th year with Legacy Advisors Financial Group and 8th year in the financial industry. Focusing on Disability and Long Term Care Insurance for Legacy Advisors, Michael is dedicated to providing his clients with insight providing clear solutions to fit their needs. Michael also works with businesses to provide comprehensive and cost effective employee benefit plans including Health Insurance. Before working in Financial Services, Michael's background was in college athletics and professional sports. He worked for Wagner College and Seton Hall University as the Facilities and Operations Director for their athletic departments. He also served as the Vice President of the Long Island Rough Riders Professional Soccer Club running the organizations Facilities and Operations. He is a member of the Hauppauge Industrial Association and is an active member on their Sports and Entertainment and Golf Outing Committees. Much of his time is dedicated to charities supporting cancer research including the Leukemia and Lymphoma Society. Michael resides in Massapequa Park with his wife Caitlin and son Jackson.